Clear & Clear Fairness Face wash its breakthrough formula is proven to reveal naturally bright, fair skin. The Vitamin rich Cherry extract formula instantly enhances skin's natural fair tone while the unique purerice oil control system helps controls oil and prevents it from returning for fairness that lasts. It leaves skin fair and oil free. 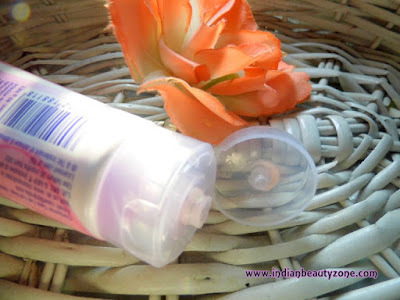 This face wash comes in a beautiful pink colour tube with a transparent flip open cap. It is available in smaller tube also, so that we carry it with us while travelling. It is a travel and user friendly packaging. 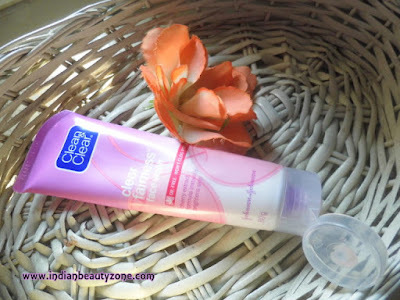 The face wash is in light pink colour and it is really very creamy in texture. It smells bit strong and the smells lingers aroung you for some time after washing it. 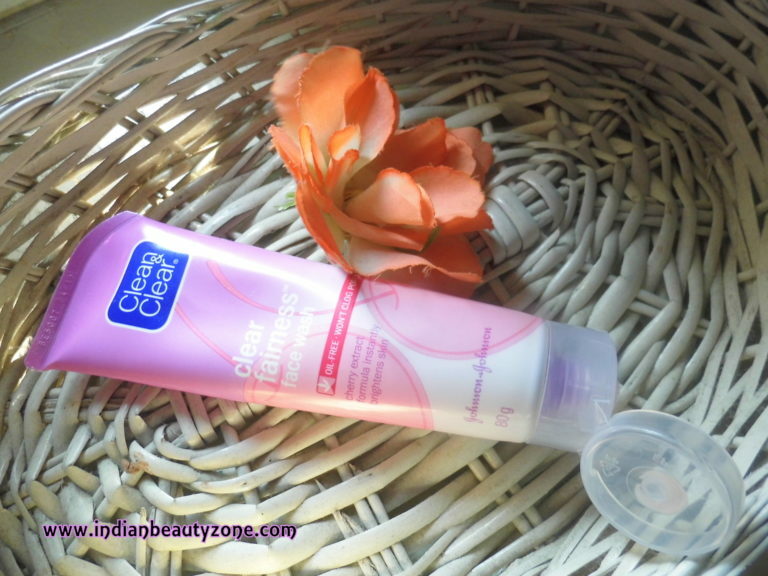 I never thought of using a such a creamy face wash for my acne prone skin, hence my dry skin during winter broke my wow and I got to try this face wash as it sounded good for me. I was really shocked when I saw the thick creamy paste turned into super frothy when you mixed with water and rub it on your palms. Yes, it lathers like hell and I felt sticky and dry at the same time after washing my face using this face wash. That moment itself I have decided that I am soon gonna broke and it happened. Yes, this face wash gave me small zits all over my face after using it for a week and I had to stop it immediately. 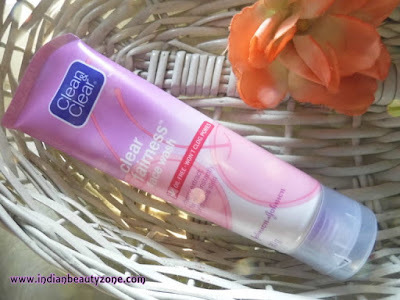 I believed their claim that this face wash won't clog pores, but all went wrong with my skin and my skin started broke out after using this face wash. This zits clearly comes from those clogged pores. But apart from this I saw my face became bright but the zits wanted me to stop using this face wash immediately. To my point those who have normal skin can use this face wash and there is less chance for break outs. But people who have acne prone skin and oily skin should avoid this face wash for their good. Best suitable for normal to dry skin. It will give pimples if you have oily and acne prone skin. It will clog the pores. Not for oily to combination skin. 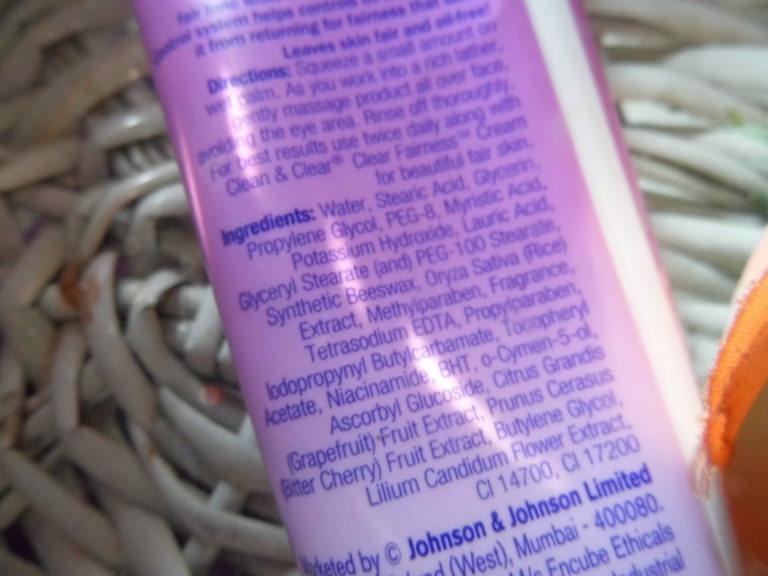 Big list of chemical ingredients. 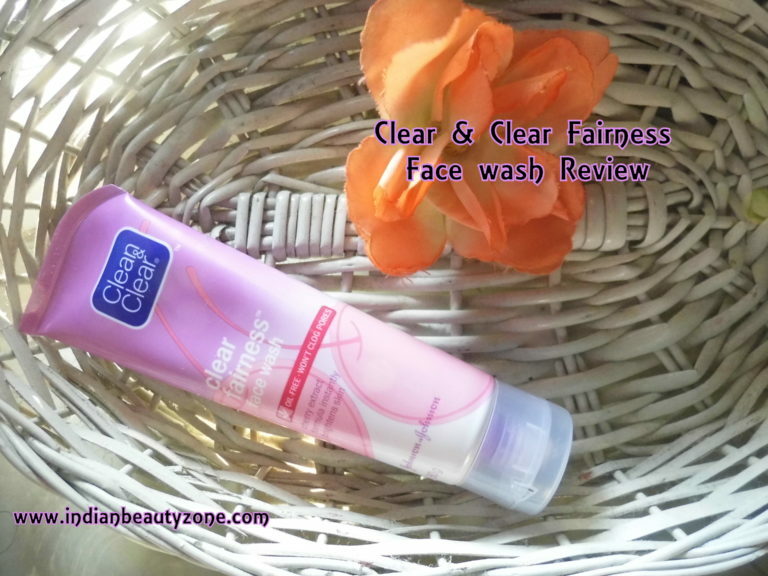 Clear & Clear Fairness Face wash is a good fairness face wash for normal to dry skin people and will give bright skin by regular use. It is not for oily acne prone skin as it tends to clog pores when used regularly.